Pursuing compensation after any car accident can be challenging, but the problems multiply when the other driver flees the accident scene. Unfortunately, this happens all too often in Miami. If you or your loved one suffered serious injuries or significant damage to your car because of a hit-and-run driver, the car accident lawyers at Law Offices of Anidjar & Levine are ready to help you. Call us today at 1-800-747-3733 for a no-cost legal consultation with a hit-and-run accident and injury lawyer in Miami, FL. We can speak with you about your hit-and-run accident and discuss the legal options available for you to recover compensation for your damages. In Florida, hit-and-run drivers usually flee the scene of an accident because they do not have a valid driver’s license or auto insurance. In some cases, hit-and-run drivers do not want to have contact with police because they have a warrant out for their arrest, or they may have been driving under the influence of drugs. This scenario is also common in drunk driving accidents. A driver might get out of their vehicle to briefly speak with the other driver about the crash, or see how much—if any—damage occurred. However, they will more than likely refuse to exchange personal and insurance information with the other driver, which Florida law requires all drivers to do at an accident scene. Leaving an Accident Scene Is a Crime in Florida. Under state law, hit-and-run drivers can face criminal charges if they flee the scene of an accident involving property damage, serious bodily injury, or death. Drivers who leave an accident scene involving a death could even face felony charges. Provide “reasonable assistance” to anyone injured in the crash, which includes requesting emergency assistance if a victim needs to take an ambulance from the scene. If a police officer does not respond to the scene, either driver involved in the accident must go to the nearest law enforcement office to report the crash. How Do I Recover Compensation in a Hit-And-Run Accident? You can recover compensation for your damages with your personal injury protection (PIP) policy and your Uninsured/Underinsured Motorist (UM/UIM) coverage. We can help you file your PIP claim and review your auto insurance policy to determine if you have UM/UIM coverage. Florida is a no-fault state when it comes to car accidents. This means that your auto insurer will pay for some of your damages, regardless of who caused an accident. If your medical bills exceed your policy limit, we can discuss other options that may be available for you to pursue compensation. Florida law does not mandate that vehicle owners carry UM/UIM coverage, but auto insurers must offer this option to policyholders. UM/UIM coverage is equal to the amount of your policy liability limits. If you purchased this optional coverage, UM allows you to pursue compensation from your own insurance company when a driver causes an accident and does not have auto insurance. 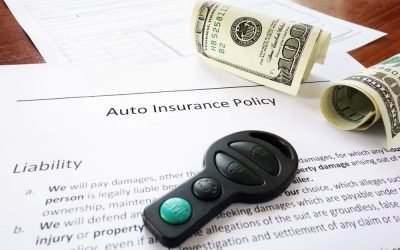 UIM protects you when a driver has auto insurance but not enough to cover your damages. Your UM/UIM policy should cover you after a hit-and-run accident. If the police discover the identity of the hit-and-run driver, you may make a car insurance claim or file a personal injury lawsuit against that individual for damages. This applies if you suffered serious injuries in the accident. We Can Help You File an Accident Claim. We will help you file an insurance claim with your auto insurer. Even though you have a right to file a claim, this does not mean that your insurance will automatically cut you a check. Insurers—including your own—want proof that the accident actually occurred. Funeral and burial costs, if your loved one died in the car accident. We collect this and other evidence to show that the hit-and-run driver’s negligence caused an injury accident and you suffered damages. Insurance companies are known for saving money, not paying out settlements. Our firm’s attorneys have extensive experience in negotiating fair settlement claims on behalf of injury accident victims. When an insurance company denies a car accident claim or fails to negotiate a fair settlement, we will speak with you about filing a lawsuit to resolve your case. Let Us Help You Recover Compensation for Your Hit-and-Run Car Accident. The Law Offices of Anidjar & Levine can help you pursue compensation for your losses after a hit-and-run accident. Call us today at 1-800-747-3733 to schedule a no-cost consultation with a member of our Miami legal team.